During the BELMAS conference 2016 enjoy free access to selected articles from SAGE Education including the BELMAS journals. Wazerah Bawazeer and Helen M Gunter. Management in Education, April 2016; vol. 30, 2: pp. 74-78., first published on May 12, 2016. Gill Weston and Mary Tyler. Management in Education, April 2015; vol. 29, 2: pp. 69-76., first published on March 3, 2015. Management in Education, April 2016; vol. 30, 2: pp. 50-56., first published on May 10, 2016. Paulette Luff and Rebecca Webster. Management in Education, October 2014; vol. 28, 4: pp. 138-143. Les Bell and Howard Stevenson. Management in Education, October 2015; vol. 29, 4: pp. 146-150. Allan Walker and Philip Hallinger. 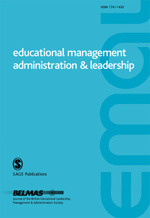 Educational Management Administration & Leadership, July 2013; vol. 41, 4: pp. 401-404. Educational Management Administration & Leadership, May 2016; vol. 44, 3: pp. 347-362. Educational Management Administration & Leadership, March 2016; vol. 44, 2: pp. 247-262. Educational Management Administration & Leadership, January 2016; vol. 44, 1: pp. 57-72. Donald E Scott and Shelleyann Scott. Educational Management Administration & Leadership, May 2016; vol. 44, 3: pp. 511-531. David Hall, Emiliano Grimaldi, Helen M Gunter, Jorunn Møller, Roberto Serpieri, and Guri Skedsmo. European Educational Research Journal, November 2015; vol.14: pp. 487-507. 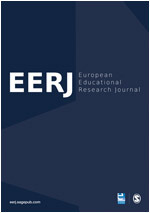 European Educational Research Journal, November 2009; vol.8, 3 pp. 372-386. 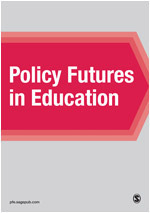 Policy Futures in Education, June 2013; vol. 11, 3: pp. 256-266. Christopher Day, Qing Gu, and Pam Sammons. Education Adminstration Quartely, April 2016; vol. 52, 2: pp. 221-258., first published on February 9, 2016. James P. Spillane and Linda C. Lee. Education Adminstration Quartely, August 2014; vol. 50, 3: pp. 431-465., first published on October 17, 2013. Gary M. Crow and Rodney S. Whiteman. 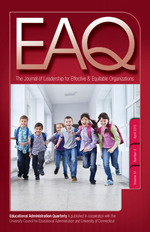 Journal of Research on Leadership Education, April 2016; vol. 11, 1: pp. 120-148., first published on March 3, 2016. 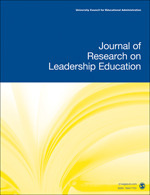 Journal of Research on Leadership Education, December 2014; vol. 9, 3: pp. 254-272., first published on April 24, 2014. 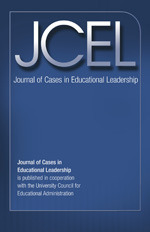 Journal of Cases in Educational Leadership, June 2014; vol. 17, 2: pp. 20-40., first published on May 7, 2014. James C. Coviello and David E. DeMatthews. Journal of Cases in Educational Leadership, June 2016; vol. 19, 2: pp. 43-51., first published on May 4, 2016. Launched in 2015, SAGE Video is an online resource developed in partnership with leading academics, societies and practitioners to deliver cutting-edge pedagogical collections mapped to disciplinary curricular needs within the social sciences. Founded in 1965, SAGE is the world’s leading independent academic and professional publisher. We publish over 900 journals, including those of over 300 learned societies and institutions, and over 800 books a year across a broad range of subject areas including business, humanities, social sciences, and education.